LG disappeared from the market after launching LG Optimus Pad in 2011. From the recently leaked online video, it can be anticipated that LG is back with a bang! Though a teaser video for the LG G Pad tablet was posted by the company, it did not reveal any of its specifications. But with the purported render of the gadget spotted online, we could take a peep on the apparent awaited tablet. From the video we could see that the G Pad did employ a similar design language compared to G2 with a curved rectangular chassis, a speaker grille up top and minimal horizontal bezels. There is a power button on the right edge with other assortment of sensors on the top. Though the Optimus Pad was powered by Honeycomb, this one is likely to be hyped by Jelly Bean once it is put out in the market. 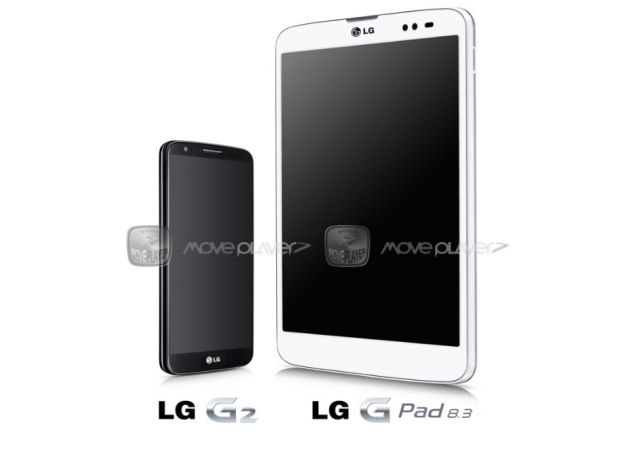 Korean blog MovePlayer, the source of the purport, mentions that LG G Pad 8.3 is sure to come with a Full HD (1920×1200) display and is likely to give its first appearance at IFA 2013. If this information is true, the Berlin-based trade show is likely to greet this gadget after the LG Optimus Pad. Hopefully, LG do not make us wait for long.